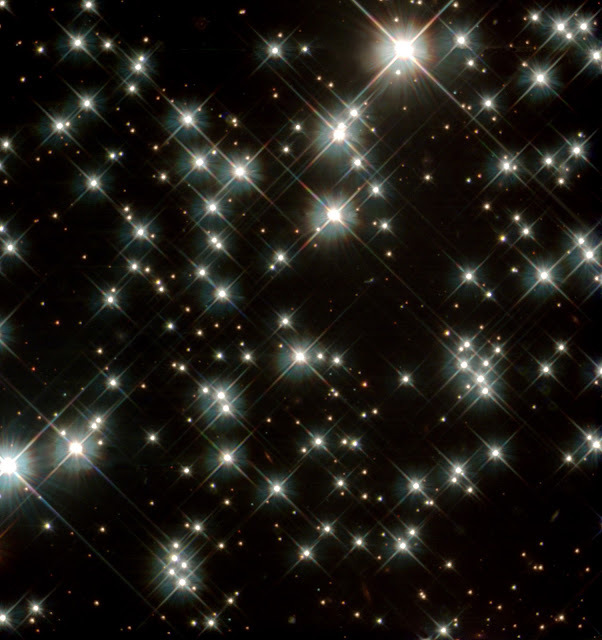 Peering deep inside a cluster of several hundred thousand stars, the NASA/ESA Hubble Space Telescope uncovered the oldest burned-out stars in our Milky Way Galaxy. Located in the globular cluster M4, these small, dying stars - called white dwarfs - are giving astronomers a fresh reading on one of the biggest questions in astronomy: How old is the Universe? The ancient white dwarfs in M4 are about 12 to 13 billion years old. After accounting for the time it took the cluster to form after the big bang, astronomers found that the age of the white dwarfs agrees with previous estimates for the Universe's age.